Carter has been so helpful around the house lately that I decided to turn my kid-free errand running into a Starbucks date. If you give a kid a cookie, chances are he’ll want warm vanilla milk to go with it so… Up he went with mommy’s card. 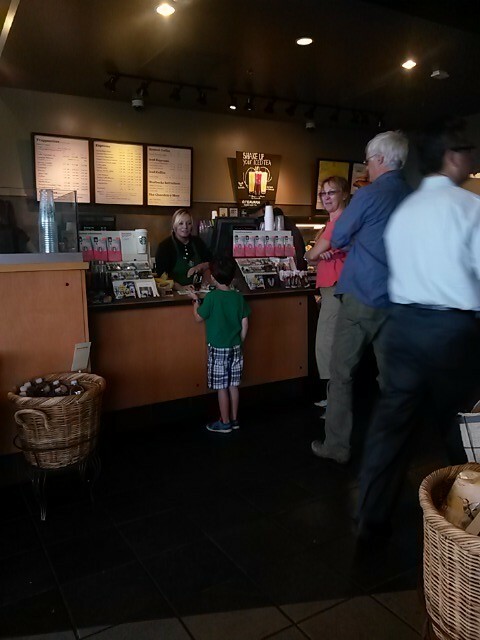 I can’t believe he is tall enough to see over the counter and old enough to order his own milk! I will not cry the first day of kindergarten. I will not cry the first day of kindergarten. Are we Ghana or not?